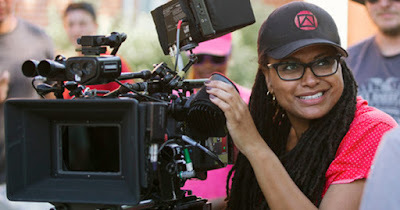 Ever since she stepped into the role of director, Ava DuVernay has been making history in the film industry. She grew up in Compton where her love for movies developed from watching films with her Aunt Denise. DuVernay graduated in 1995 from UCLA and quickly began a film publicity career. It wasn’t until 14 years later that she decided to switch paths and start making her own films. Her success as a director began after her film Middle of Nowhere won the dramatic film award at the Sundance Film Festival in 2012, making her the first Black woman to win that award. Her next notable accomplishment was becoming the first Black woman to direct a film that was nominated for a Best Picture Academy Award in 2014. Her film Selma depicted Martin Luther King Jr’s march from Selma to Montgomery, Alabama in an attempt to promote equal voting rights. Four years later, and DuVernay did it again! Her adaptation of the 1962 book A Wrinkle in Time by Madeleine L’Engle beautifully captures the sci-fi setting in the book along with the heart wrenching story of a 14 year old girl with a love for science attempting to save her long lost father. As director of the $100 million Disney movie, DuVerney has become the first Black woman and the thirteenth African American to direct a $100 million film.